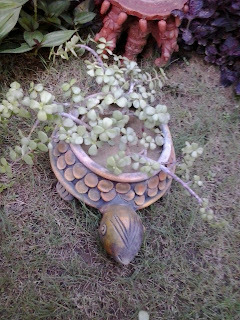 Its September already and the rain gods seems to be in a rather happy mood with generous(rather overwhelming...... the safety levels of Yamuna river are above the normal mark) dose of rain. 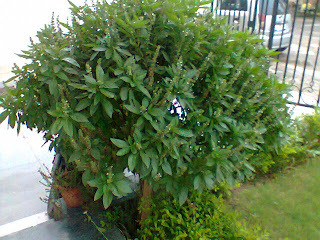 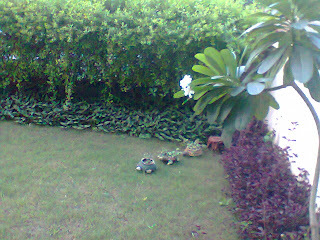 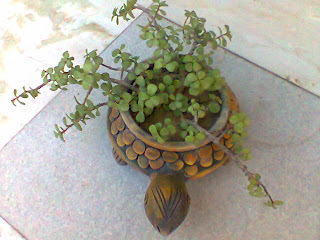 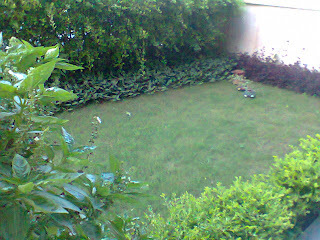 I mean it has been regularly raining since past few weeks in Gurgaon ....though it’s good for my plants and my garden...but the condition of the roads is worst.... Well let’s see the good part only...forgetting about the "Full-of-potholes-and-bumpy roads"....lets concentrate on the blooming plants. 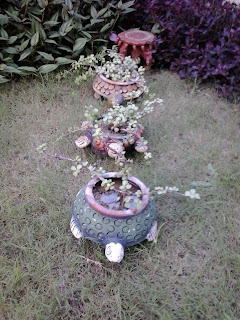 · Use pebbles....these break the monotony and also brings in the earthy feel. · Use different shaped planters to give a texture to the garden. 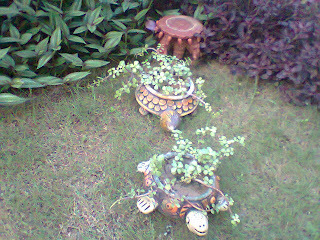 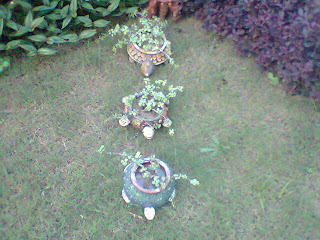 I adore my turtle planters. 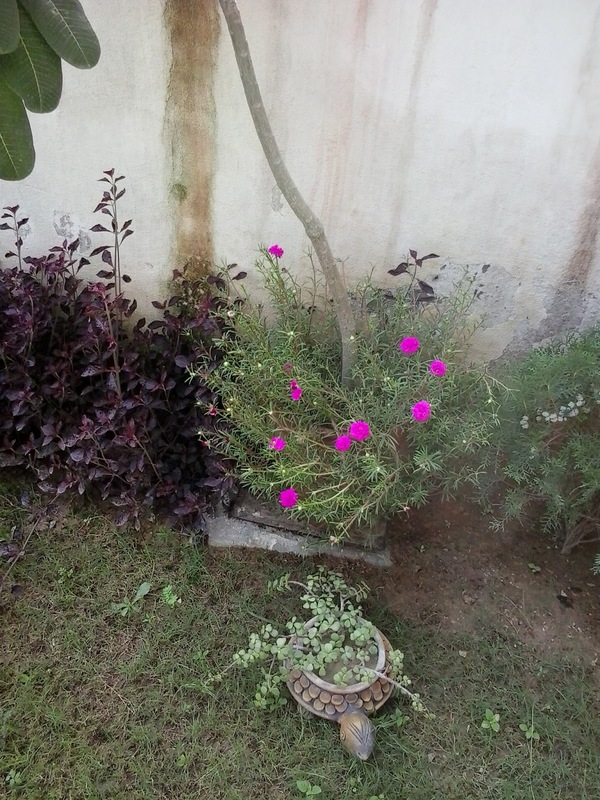 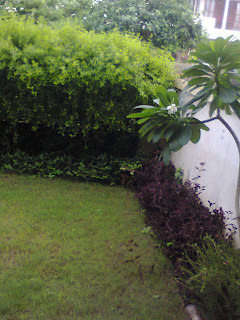 · Place a frangipani (champa) planter with small magenta flowers to add some pop of color. 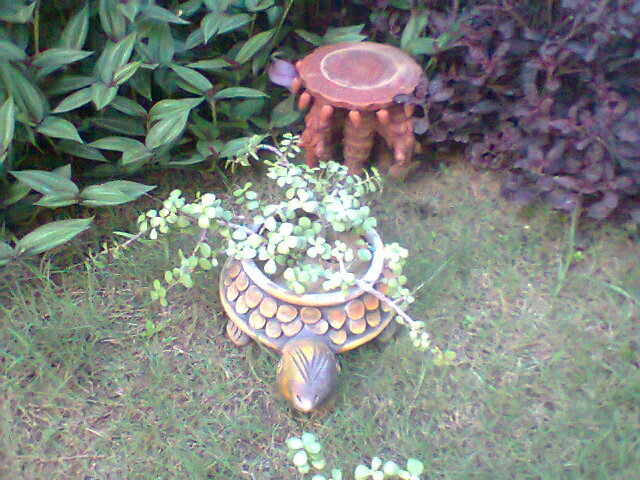 · Place terracotta pieces (stools etc) with plants on them. Terracotta items(planters ,hanging bells, wind chimes, show pieces etc) brings in a earthy feel to the outside decor. 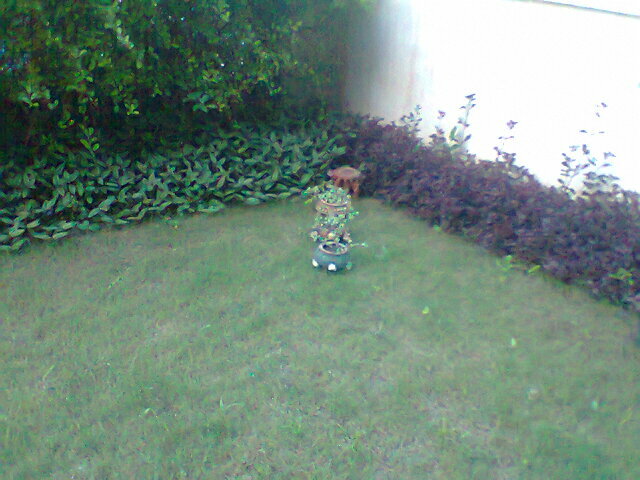 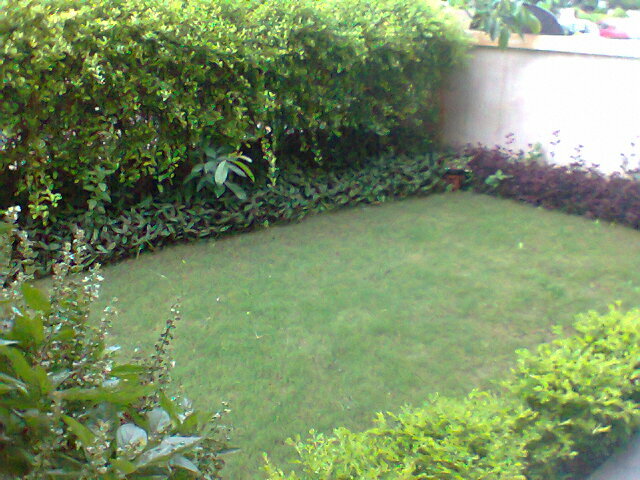 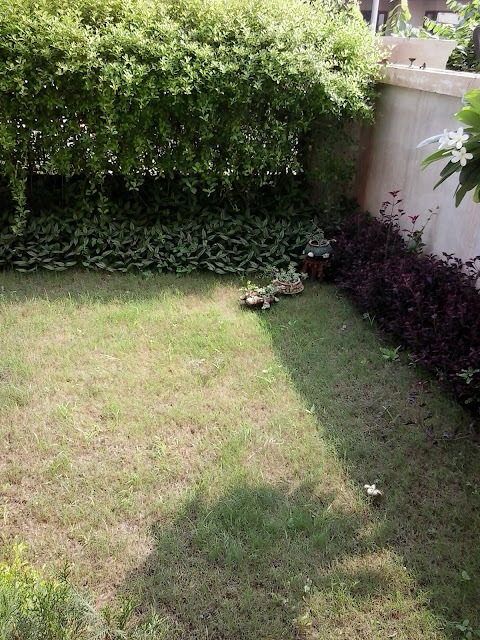 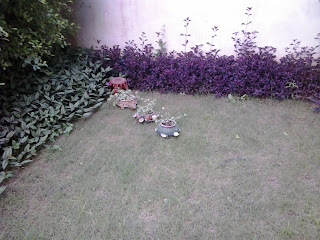 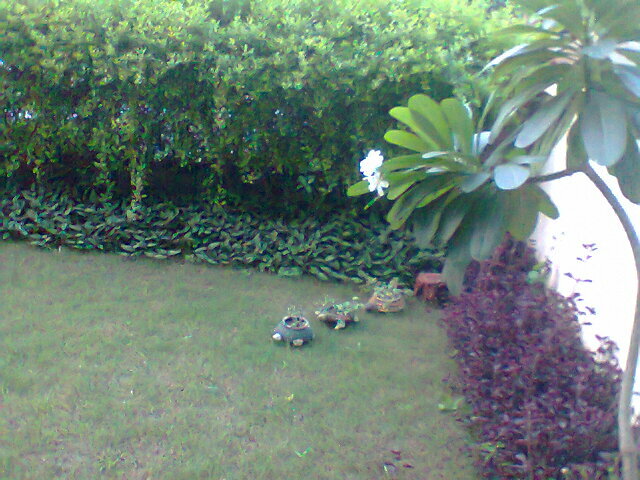 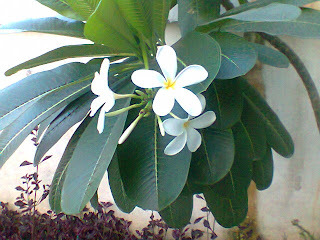 Have a look at our small garden....Enjoy the pics. 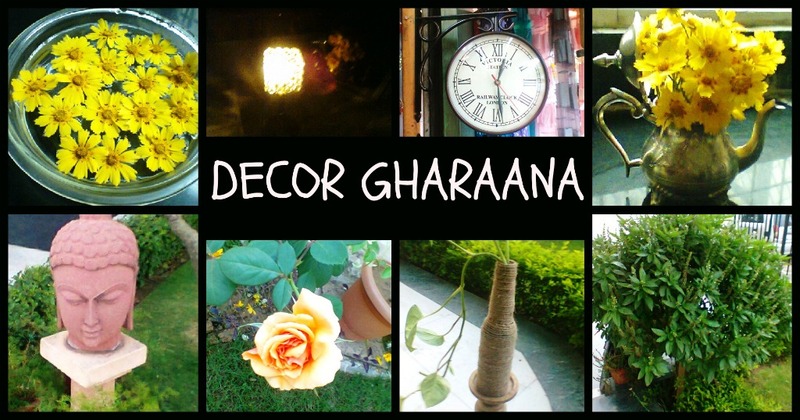 Thank you for joining the Weekly Story @ Colours Dekor :) Hope you have a fabulous week ahead..